Matthew 1:1 The book of the generation of Jesus Christ, the son of David [in the Hebrew New Testament it’s written - Yeshua HaMashiach ben David], the son of Abraham. Why was Yeshua's identification with David so significant? 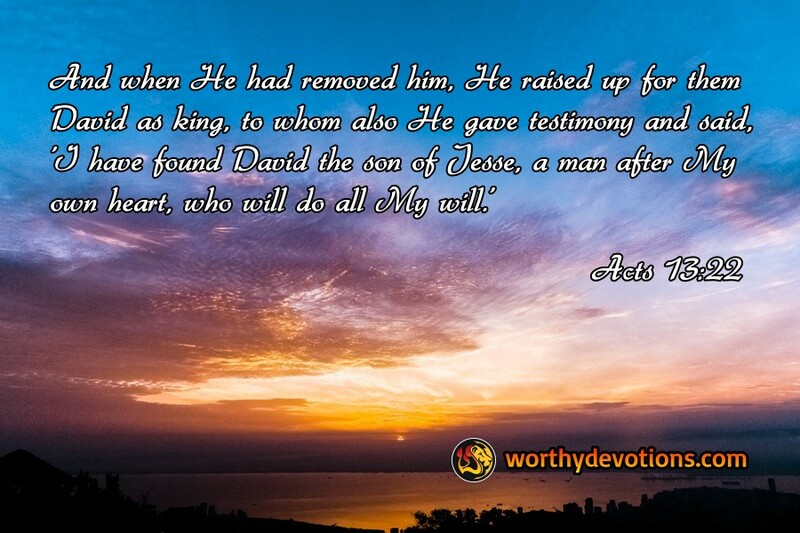 One reason is that David is the only man in the Bible about whom the Lord said, this is “a man after My own heart”. Yet we know well David's imperfections ... adultery and murder -- so why would God say this about him? I believe it was David's lifelong love for and abandoned worship of the Lord, and also his contrite heart (Ps. 51) and the depth of his sorrow and repentance which showed this relationship to be the most important and precious in his life. God isn’t expecting perfection from us -- His Son has provided that. Yeshua alone is the Man whose heart and actions are flawless. But David exemplified a man whose love and respect for his God were constant, if imperfect, a man after God's own heart. And this is the heart that God is seeking today, contrite, worshipful, and filled with respect and love for our God. David provides a wonderful example for us who are as imperfect as he was. We may fall and fail miserably – but its how we get up that makes the difference. Our constant desire to preserve this most precious of all relationships will show that we too have a heart after God. I know I want to hear Him say, "Yes, you are truly someone after my own heart!"